We just launched NATO’s new Defence Strategic Communications journal, a publication of the alliance’s new STRATCOM Centre of Excellence in Riga, Latvia. Our first editorial board meeting occurred during the inauguration of the Centre of Excellence, with the participation of civilian and military leaders from the entire NATO alliance and interested countries like Finland and Sweden. The first edition of the scholarly, peer-reviewed journal will appear in December 2015. Dr Waller is a founding member of the journal’s international editorial board and is one of the reviewers. Defence Strategic Communications is a bi-annual, open access, peer-reviewed and refereed journal published by the NATO Strategic Communications Centre of Excellence (NATO StratCom COE), Riga, Latvia. Steve Tatham, the force behind the journal, is the founding editor. 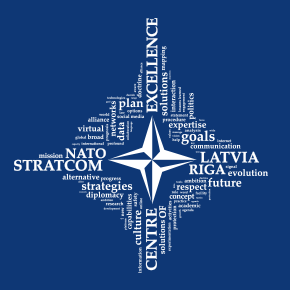 Follow the Centre on Twitter @StratcomCOE.